Among the many fruits you can find today, one fruit that is rich in vitamin C, fiber, and beta carotene is the Apricot. Are you aware that growing apricots can be difficult especially if youâ€™re not knowledgeable enough? If youâ€™re planning to start an apricot farm, you need to fulfill the climate conditions requirements. If you can see lots of sweet cherries in your area, then it’s also ideal to grow apricots within the region. In the US, the most ideal place to grow apricots is Michigan but you can also find other apricot farm in the different states. There are also several varieties of apricot that you can choose from. What do you intend to do with the apricot fruits? If you want to cook them, it would be better to get the early golden hardy Iowa but if you want to eat the apricots fresh, you can opt for the Goldcot. Before you start an apricot farm, it would be best to consider these things – is your area or region ideal for growing apricot trees? Can you identify your target market as well as the local/international suppliers? Do you have a store where you can sell the apricots either as fresh or dried products? Apricots can be eaten fresh but you can also create preserves of it, as well as dried products. An apricot farm has many factors to consider and once you’ve addressed all the necessary concerns, it’s time to start the farm. 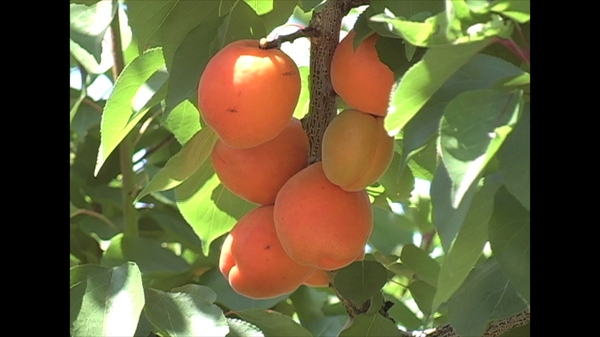 Growing your own apricot trees will largely depend on the location. Apricot trees require frost-free seasons and well-drained soil. When the fruit is already ripe, its color is orange yellow. Aside from vitamin C, the fruit contains phosphorous, calcium, sodium, iron, bromine, cobalt, and manganese. To ensure optimum production and health, the soil of the farm should be well drained and moderately fertile. To maximize quality and size of the apricots, you need to thin the apricot at the early part of the season. Through thinning, you will be able to give the individual fruits enough room (at least 3-5 inches). The trees are quite attractive especially during summer because of the glossy heart-shaped leaves and furrowed bark. Among the most popular varieties are the Aprium, Pluot, and plum-cot. Instead of growing the trees from seeds, you can plantings from local nurseries. Make sure that your farm is ready for planting apricots before you purchase the plantings. If you can’t find a local nursery that offers apricots, you can conduct a quick search online to find these varieties of apricots. You need to be knowledgeable enough to handle all the tasks in the farm. Aside from the purchase of apricot supplies, you also need to consider hiring extra help to help you in taking care of the growing trees. I'm from Vladnov Russia and I'm looking to start an apricot farm but I don't have any money. Is there a place where I can get free apricot trees? Perhaps a farm nearby that doesn't have a lot of security but has good apricots.